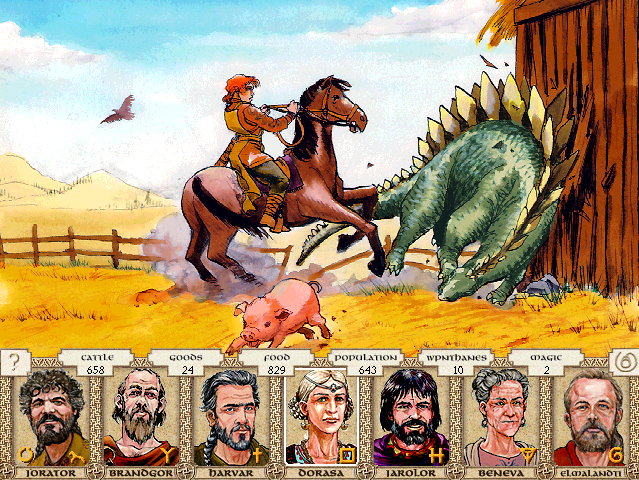 King of Dragon Pass Part #124 - Dinosaur! As if you guys were going to vote for any other option. Now let's have our resident pirate explore the tula. 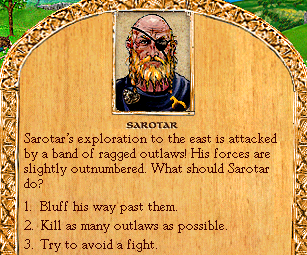 Damn, Sarotar got cooler in his (relatively) old age. 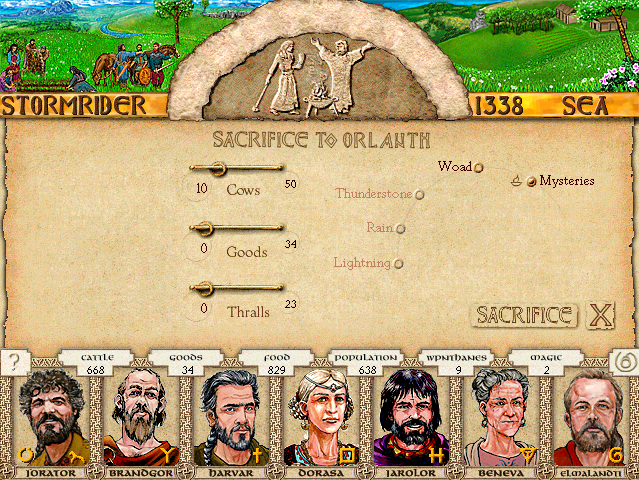 Then I see if I can get Orlanth to give us a cooler blessing than Woad. Rain helps raise our crops. Which helps complement our current "make a shitload of food and trade it for all the things we don't have" strategy, but not much else. 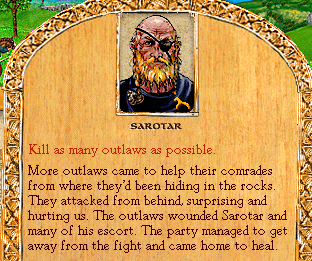 Damn it Sarotar, you're letting your badass eyepatch down. One of the giant reptiles called earthshakers galumphs onto your tula, intent on eating your crops. 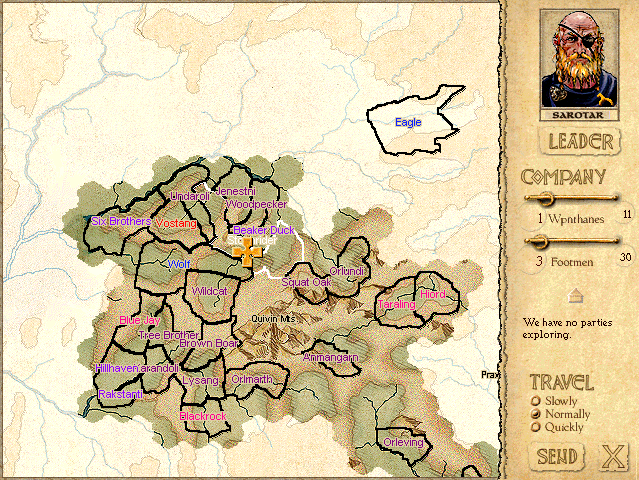 Elgane manages to herd it away, but now it's crashed into a stead. -Give it hay to eat. -Send warriors to fight it. -Send warriors to herd it away. -Use magic to drive it off. I've never seen this event before, which makes me sad because it involves more dinosaurs. There are many kinds of earthshakers. Some are intelligent, and cast spells. Others are terrible carnivores, and some eat only plants. They are sacred to Maran Gor, Ernalda's vengeful sister. It will eat our crops if we don't get rid of it. The warriors won't be happy if they get hit by that tail. We can easily get rid of it by feeding it, but then it will want to come back. Every time is smashes a stead, we lose about ten cows worth of materials and lost work. The farmers will be upset if it eats their crops. Our magic is strong; our spells will succeed against it.